There's something inherently satisfying about using a blunt force object for its exact purpose, be it ripping the cover off a baseball with a Louisville Slugger or bonking one of those animatronic pop-up varmints with a rubber mallet at the local arcade. At the opposite end of the spectrum, there's something equally satisfying about using a precise tool designed for an exact purpose, be it a Montblanc pen or a pickle fork. 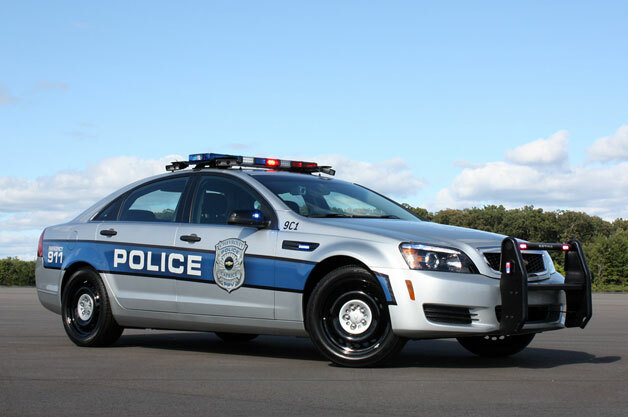 With the introduction of its 2012 Chevrolet Caprice PPV, General Motors is betting that law enforcement customers are willing to trade-in the former brand of satisfaction for the latter. For decades now, an overwhelming majority of America's policemen and women have relied on the four-wheeled equivalent of a blunt object, the Ford Crown Victoria Police Interceptor, as a primary tool in combating crime. Stubbornly resistant to change since its introduction during the Carter administration, the Crown Vic proudly rode its pig iron and scrimshaw frame into retirement earlier this month, a victim of growing legislative hurdles and slowing sales. Yet despite – or perhaps because of – its antiquated technology and crude construction, precincts far and wide have been clawing over each other to secure the last few examples. 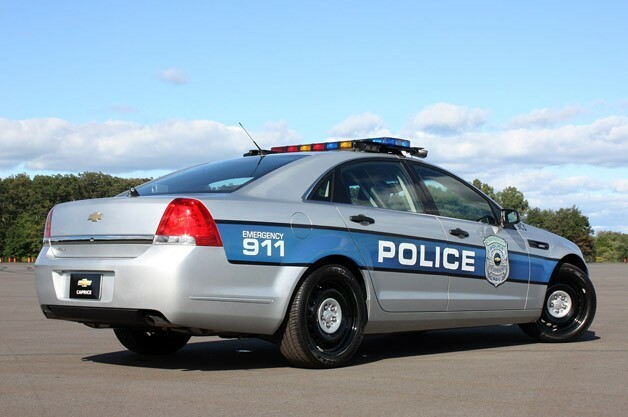 GM believes it has a better way: 2012 Chevrolet Caprice Police Patrol Vehicle. Company officials say they are so cognizant of the unique needs of law enforcement that they've designed and built this special pursuit vehicle specifically for their use. GM has divulged no plans to park a civilian version in your Bowtie showroom and you won't be seeing them in New York yellow, either. This is a purpose-built piece of kit. Of course, the truth is a bit more complicated than that. 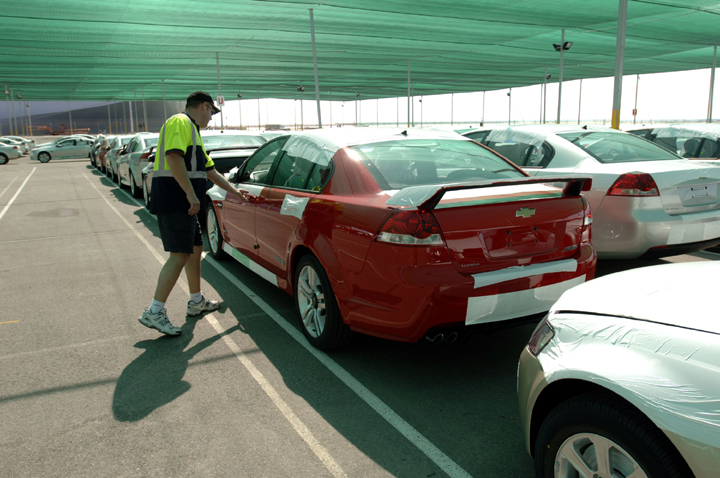 The Caprice PPV is actually a lightly modified version of GM's long-wheelbase Zeta sedans that are marketed in Australia as the Holden Caprice and in the Middle East as... well, a Chevy Caprice. GM recently offered ordinary U.S. consumers a shorter Zeta, in the form of the well liked but short-lived Pontiac G8, but it expired when its brand was shuttered. GM invited us out to its Proving Grounds to play cops and robbers on the very same day that the pilot light was going out at Ford's Crown Vic plant. Coincidence? Rather than mull the question, we hightailed it out to Milford, Michigan to live out our childhood policeman fantasies and file this report. As longtime readers well know, while most of the Autoblog staff wasn't exactly torn up about GM killing off Pontiac, we did mourn the loss of the G8 sedan – particularly in GT and GXP guises. And that's basically what we have in this Caprice PPV, albeit with a bunch more legroom and a pretty wicked rear overhang. Swap the Bowtie out for a crimson arrowhead on the grille and you might even confuse the two at a glance. The important changes, of course, aren't with the exterior; they're under the skin and in the cabin. Despite stretching the wheelbase by 3.7 inches to 118.5 inches and increasing overall length by 8.1 inches to a massive 204.2 inches, the Caprice is fairly anonymous looking, whether in Police (9C1) guise or in Detective (9C3) spec. The latter is something of a plainclothes special, but even GM's law enforcement program manager, Dana Hammer, sheepishly admits, "It's kind of hard to have an undercover car that's only sold to police." Most of the extra space inside has gone to backseat passengers, who are treated to a limousine-like 43.1 inches of legroom. That may seem counterintuitive considering that rear seat occupants will likely be in handcuffs or dog collars (perhaps both), but the gain in space is important, as it allows the full-width prisoner partition to be installed without the officers up front having to sit bolt upright or too close to the wheel. Because said partition might interfere with the side curtain airbags, the standard PPV only has them up front, though Chevy will outfit your cruiser with full-length bags if you ask them to. Either way, the 2012 PPV comes standard with eight airbags (knee bags are new for this model year). The Caprice isn't just larger in the back seat – it's bigger in nearly every dimension than its new rivals, the Ford Taurus Police Interceptor and Dodge Charger Pursuit. Front seat space, trunk space... just about everywhere. That large cabin will be familiar fodder for those who have plunked their tuckus into a G8, which is to say competent and well-organized, but not terribly stylish or premium. But let's not kid ourselves – the officers won't give a damn about a dearth of soft-touch plastics or rich-feeling switchgear after working a double-shift. They'll be contented by the Caprice's specially constructed buckets, which are clad in hard-wearing fabric and give added support and comfort thanks to special cutouts for equipment-laden belts. Or they'll be won over by the special center console on the Police 9C1 package that moves the window switches to the door and the parking brake to the footwell in order to free up space for typical gear like a laptop computer. Other unique concessions to the law enforcement community include an available auxiliary battery, heavy-duty vinyl flooring, common fleet keying and disabled rear door handles, locks and windows. You can even get remote start or prewiring for auxiliary lighting and sirens. 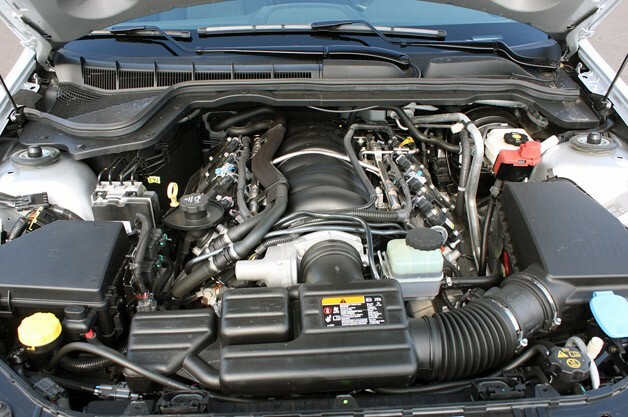 A new 3.6-liter, flex-fuel V6 is available for 2012 (there was a very short 2011 PPV model year, with only around 400 units delivered), and it joins the 6.0-liter V8 that we loved in the G8 GT. Interestingly, while GM is offering the Caprice in two basic styles (9C1 and 9C3) and two completely different engines, they all carry the same $31,495 MSRP. GM officials tell us that the 301 horsepower and 265 pound-feet of torque V6 is actually costlier to build than its V8 counterpart thanks to features like variable valve timing, dual overhead cams and direct injection. At least it gets better fuel economy: 17 miles per gallon city, 28 highway versus the V8's thirstier 15 / 24 estimates. Regardless of cylinder count, PPVs get the usual suite of heavy-duty drivetrain lifelines, including oil, transmission and power steering coolers, a high-output 170-amp alternator and electric cooling fans. There's even an idle and engine hour meter, as odometer miles typically only tell half the story for police cars. GM tells Autoblog it expects about two-thirds of orders to specify the eight-cylinder and its 355 hp and 384 lb-ft of torque. Good choice. We had the opportunity to briefly wring out both the V8 and V6 models on the proving ground's "Black Lake," a 67-acre sea of tarmac, and while the V6 is more than up to most police work, your local Boys In Blue will have more fun – and be more effective – haunting your rearview mirror in a V8 PPV. Not only will they have an abundance of rear-drive power at their disposal, they'll have a standard limited-slip differential – equipment that's optional on the V6. Regardless of engine choice, the six-speed Hydra-Matic gearbox includes a special high-performance calibration for pursuit duty. And despite a conspicuous absence of baddies to harry, we couldn't resist trying it out, running at speed through a modest course that included a cone slalom, emergency lane changes and braking and acceleration zones. We found the Caprice to be a willing partner in cri.... err.... law enforcement. Like any good sport mode, the transmission's pursuit calibration ably keeps engine revs up, downshifting aggressively if necessary (it will even drop into second gear at 60 mph). Likewise, the stability control system can be coaxed into a special performance mode that relaxes the e-nannies to allow for more aggressive driving, which in our case included giggle-inducing tail slides and Goodyear-immolating launches. We're thinking the PPV would be an ideal vehicle in which to learn to drift when the sergeant isn't looking. GM is quick to point out that the PPV will deliver 0-60 mph runs in under six seconds, and top whack on its certified speedometer has already been measured at 155 mph. And while we didn't have occasion to repeatedly brutalize the pie-plate-sized four-wheel discs (13.6-inch front / 12.75 rear) or its cop-spec anti-lock calibration, Michigan State Police testing recently found the PPV had a class-leading 125.8-ft. stopping distance from 60 mph. Clearly, the Pontiac G8's performance DNA is still present in this long-wheelbase relative. With all of this great new equipment on offer from GM, Ford, and Chrysler, why have many police forces been so reluctant to trade-in their Crown Vics? Primary concerns among those ordering the new vehicles have centered on durability and running costs, two areas where the old Panther excelled. There's no doubt that the Caprice is a more sophisticated vehicle than the Vic, but GM says it has kept all of this in mind in an effort to increase longevity and ease of maintenance. Among a number of designed-in features to keep service costs down, GM has fitted a "walk-in" front end to the PPV. If a Caprice is involved in a front-end shunt or needs major engine work, the entire front clip can be removed by popping the hood and undoing about a dozen bolts and a few electrical connectors, neatly facilitating working on everything from damaged radiators to full engine swaps. The Caprice also has doors that easily lift off with little more than the removal of a pin. We might also add that one of the biggest factors in cost-of-ownership tends to be resale value. Given that there's no consumer version despite a fair number of civilian buyers interested in Caprice ownership, we wouldn't be surprised if the PPV's residuals are exceptionally strong in the used market. Chevy's law enforcement team knows the importance of this firsthand: Despite having the highest cost of entry in the segment, its own Tahoe PPV has received an award for having the lowest total ownership cost, thanks largely to its higher-than-average residual value. It is at this point that we can finally say with some justification that Chevy dealers have good reason for being a bit ornery about not getting a civilian version of the Caprice PPV to sell. Besides the anonymous po-faced looks (better to avoid being flashy if you're the police) and a few interior upgrades, this puppy is ready for retail sale. All the hard stuff has been done already, including crash and emissions testing. 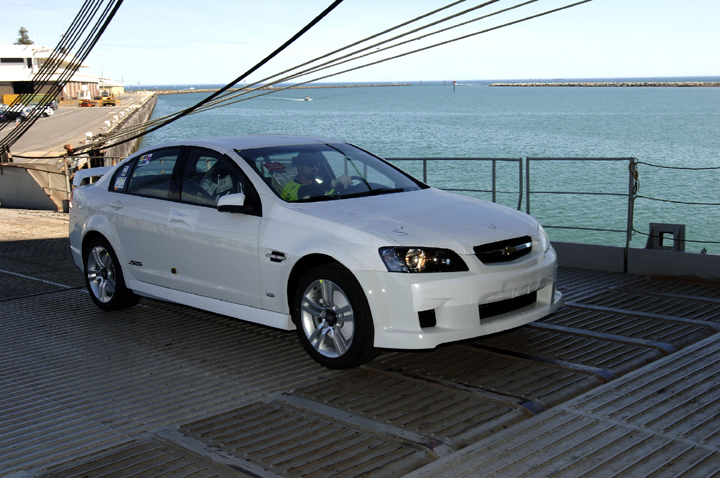 If GM can make money selling this Elizabeth, Australia import at under $32k before the inevitable fleet discounts, it doesn't seem entirely unreasonable to think that it might have a shot at making a few dollars with a civilian version. Until then, we're just going to have to hope that this comfier, more capable cruiser will help put America's officers in a more forgiving mood the next time we get pulled over for going a few ticks over the speed limit. I'll take one 9C3 Caprice in dark blue, plz. 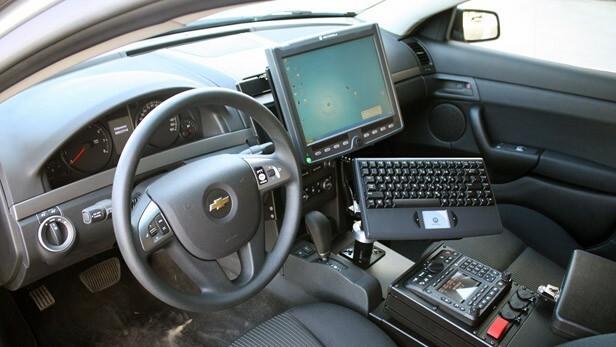 Put aside the center console cuz thats the way it is for the police. The interior is very plan and bland as well the outside is just so watered down looking. But it is only for the PoPo and not the public so no great loss. The one made for the middle east is much better looking. I would hope if they offered it to the public in the US we would get that version. Something based of the Buick lacrosse??? and Impala based off a Caddy??? I know some of these are Photoshops which prooves there are so many rumors floating around. Honestly I would prefer this PS'd grille over the one in the Middle East but I wouldn't mind buying that one either. Yeah, I don't mind the PS'd one at all but the lower grille needs to be a bit smaller.